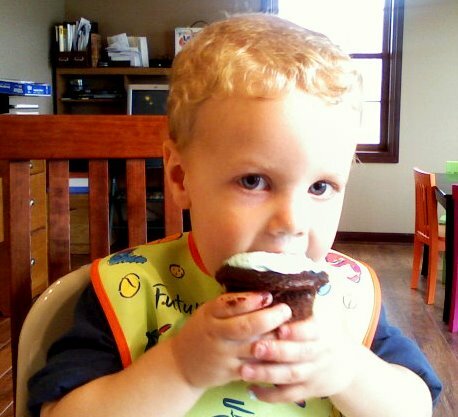 Ooh, I love cupcakes too! (And we have that same bib - it's a favorite!) Happy WW! Ohhh! I bet he was just covered in chocolate a little bit later. Too cute!